Connacht Rugby have today unveiled their new home kit for the 2017/18 season. 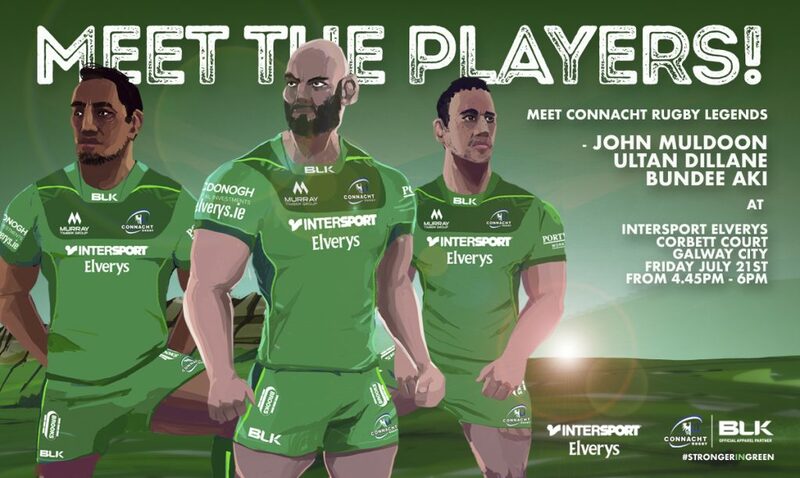 To mark the new launch, Bundee Aki, Ultan Dillane and captain John Muldoon will be meeting supporters at our Intersport Elverys Corbett Court Store in Galway City tomorrow (Fri, 21st July) from 4.45pm – 6pm. Bring the whole family down, get your new jersey signed by the guys and grab a cheeky selfie! The new BLK product range has been developed to fulfil the needs of the modern athlete and supporter, from technical training, match day equipment and apparel to a superior lifestyle and supporter range. The emphasis is on design excellence, performance, durability and innovation. BLK, in its fifth year as Connacht Rugby’s official kit partner, worked closely with Connacht management on the new design to develop an all-green home kit. 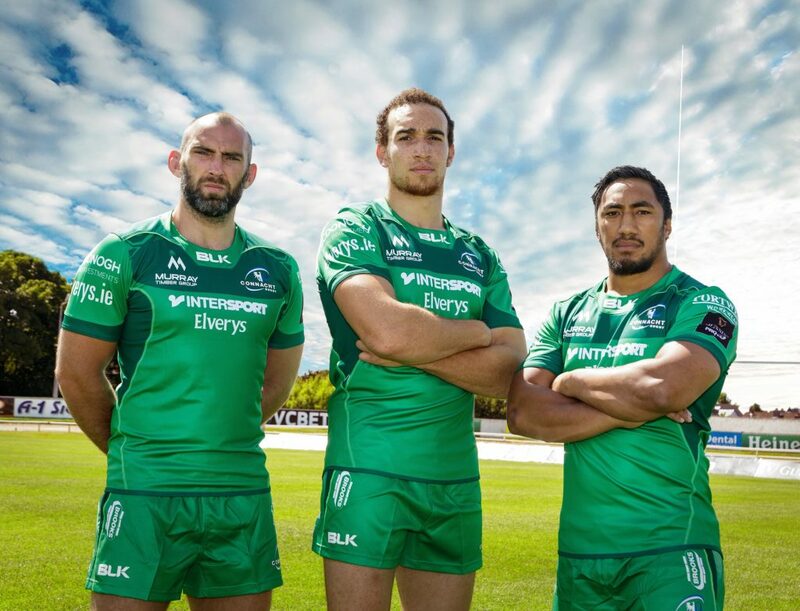 The new Connacht home jersey is a strong blend of the traditional Connacht green with energetic green piping and cover stitching to bring a modern twist. With a return to an entirely green jersey, the feature of unique shoulder detail and powerfully solid chest are amplified using a unique silicon gel logo application. Click the image below to shop. The jerseys are made with BLK’s exclusive Exotek fabric throughout the main body. Exotek was created exclusively by BLK to enhance athlete performance, while maximising player comfort and manoeuvrability. Exotek is the strongest, lightest and most breathable and soft-to-touch fabric ever used by BLK with its four-way stretch properties setting it apart as a market leader. 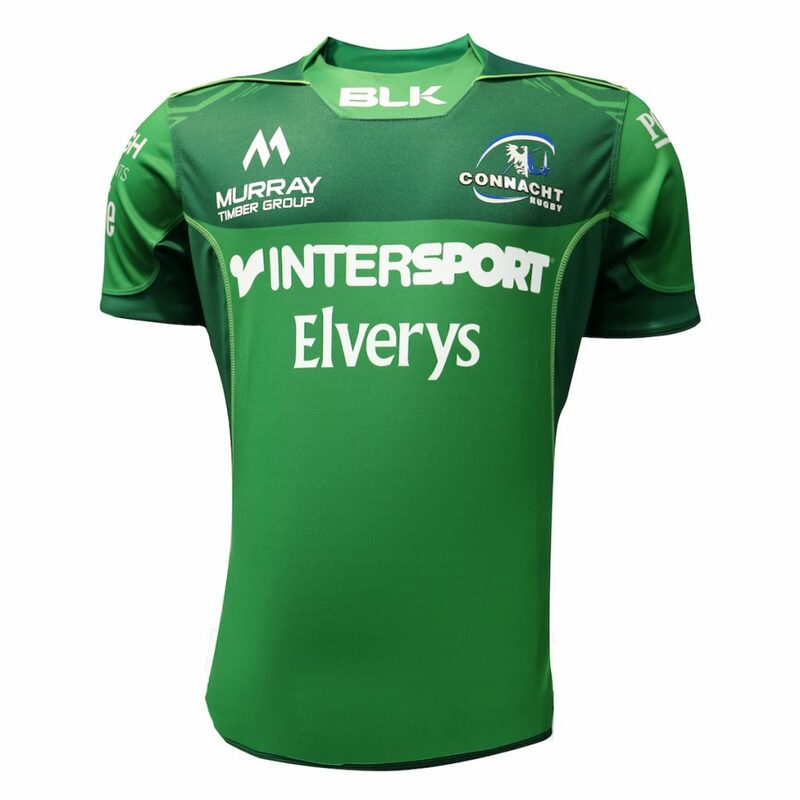 This is paired with the new BLK collar design, and an introduction of subtle Connacht branding at the bottom of the back of the jersey, finished with a contrast green hem bind. “As we enter an exciting new era at the province, we feel that our new all-green kit represents our storied past and bright future. “The new design will ensure that our players stand out on the pitch and we look forward to seeing our supporters create a sea of green at the Sportsground and away venues throughout next season.